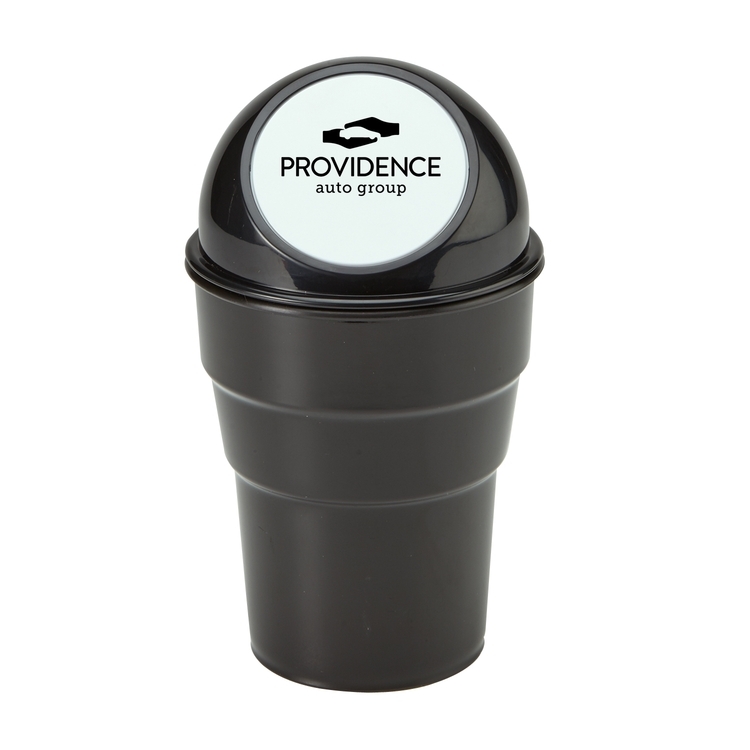 •Fits most auto cup holders. 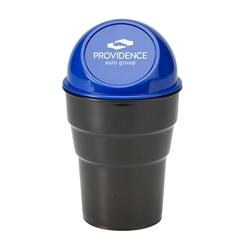 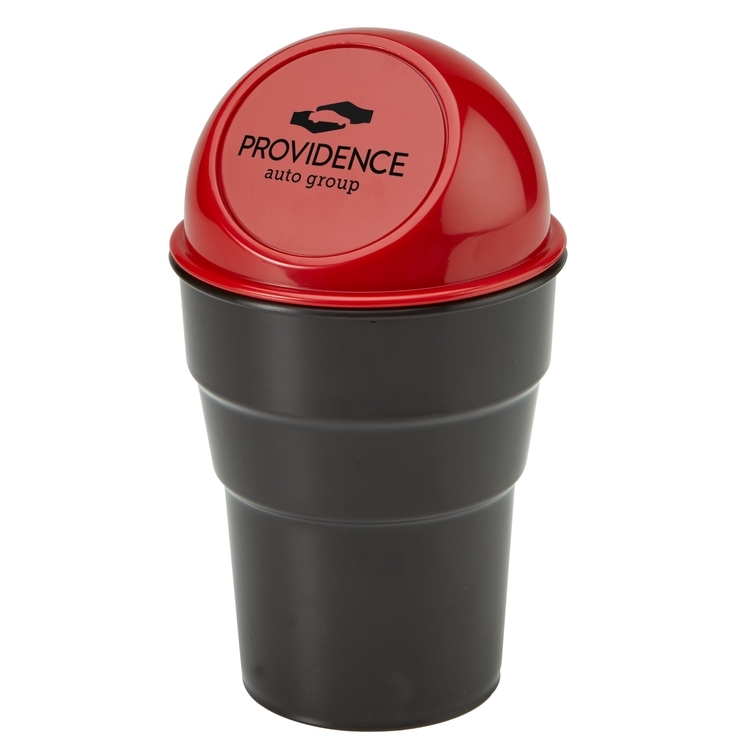 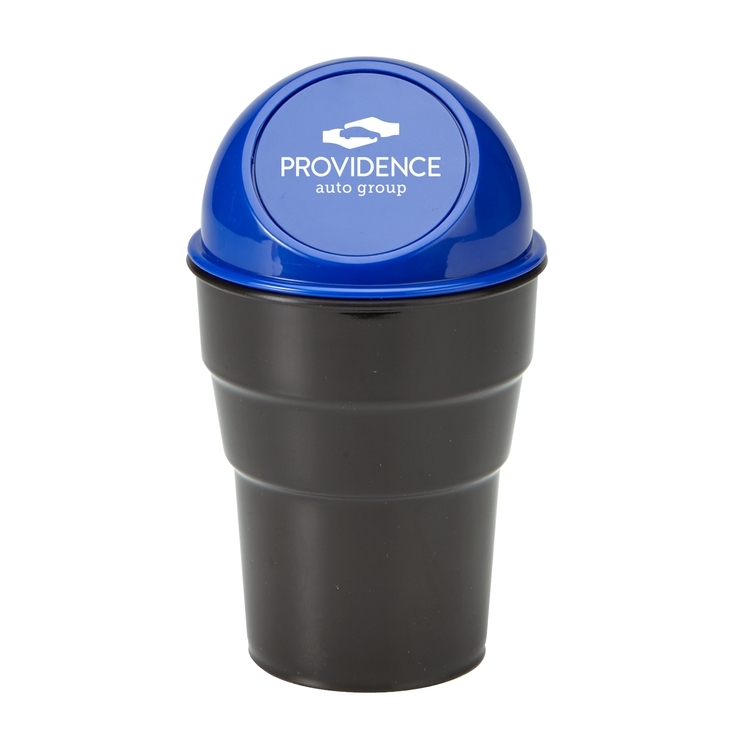 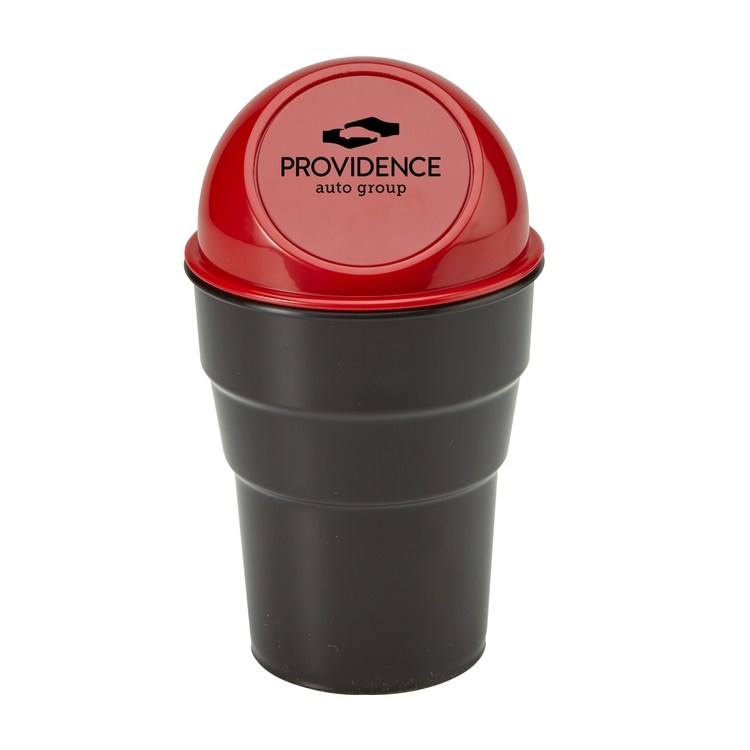 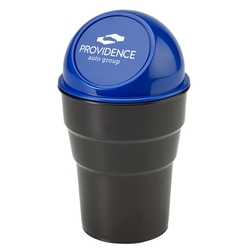 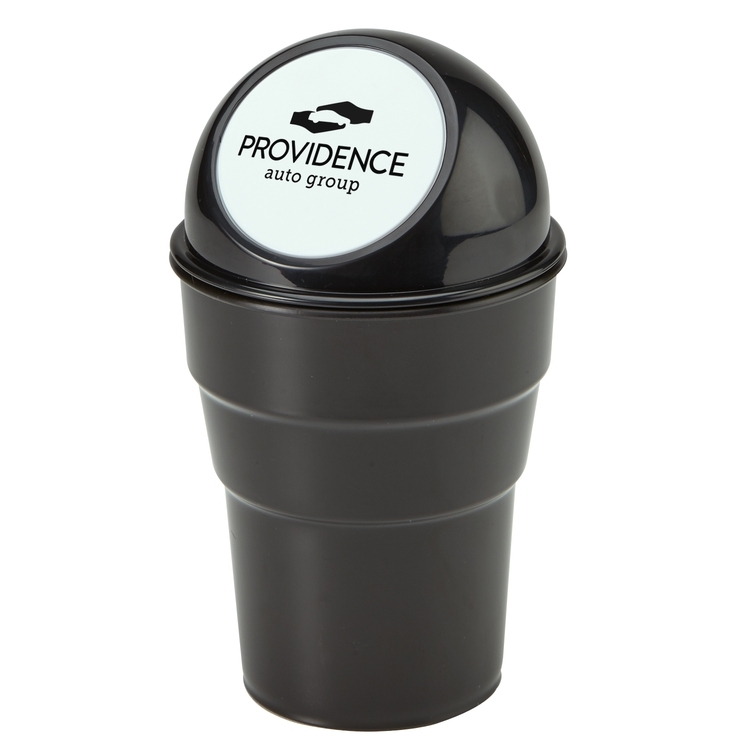 •Sturdy spring-hinged lid assures the trash is sealed tightly. 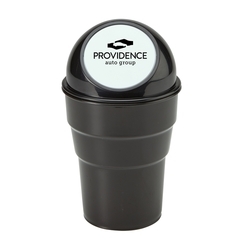 •Great for car rental companies, auto dealers and service locations.